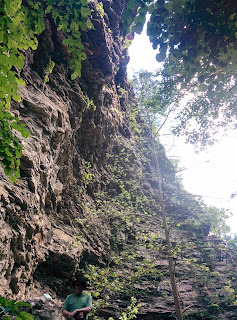 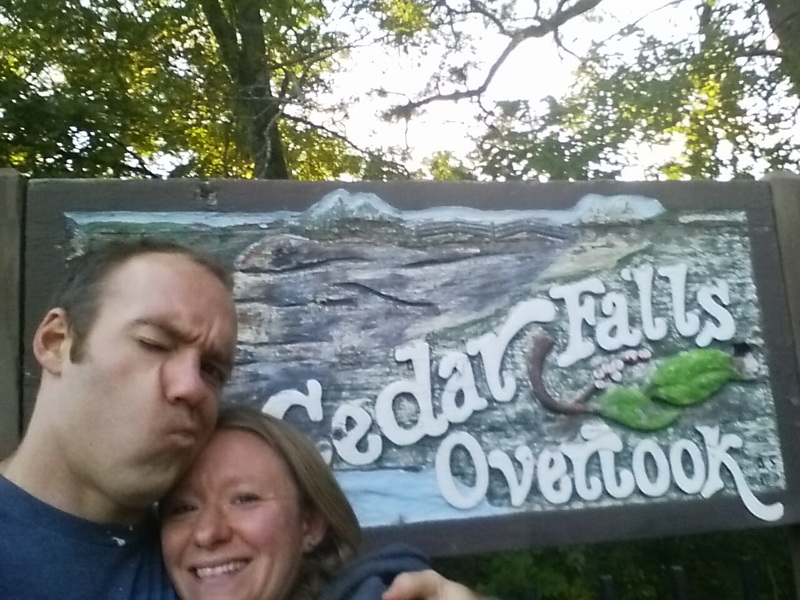 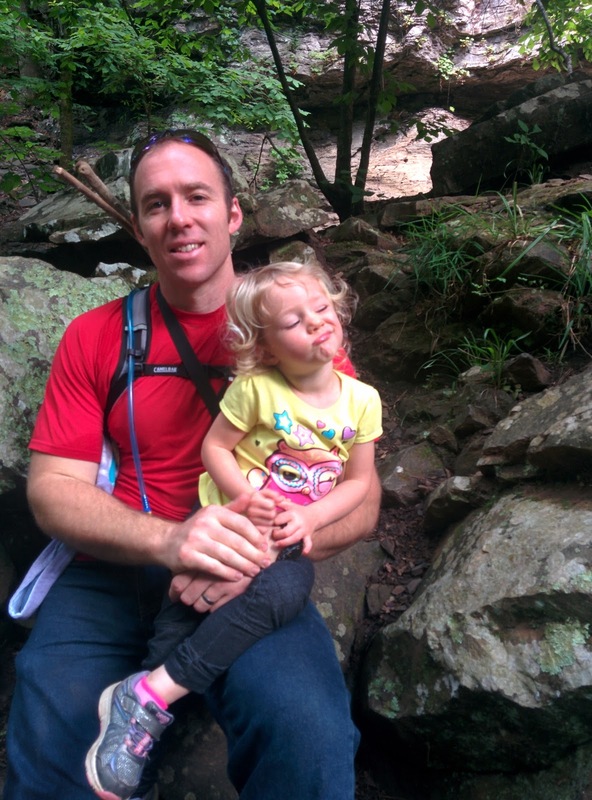 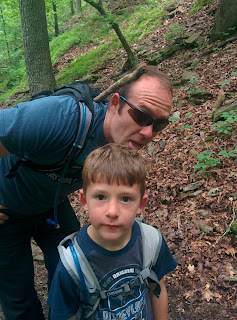 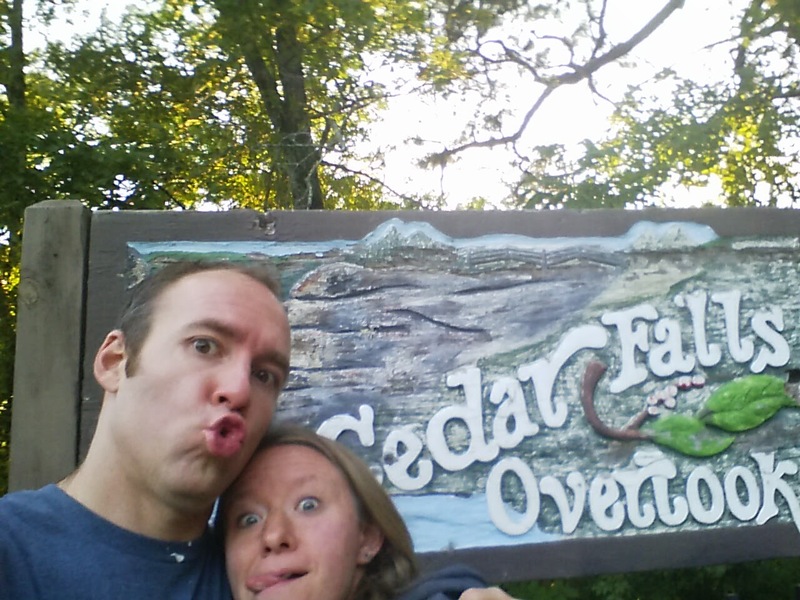 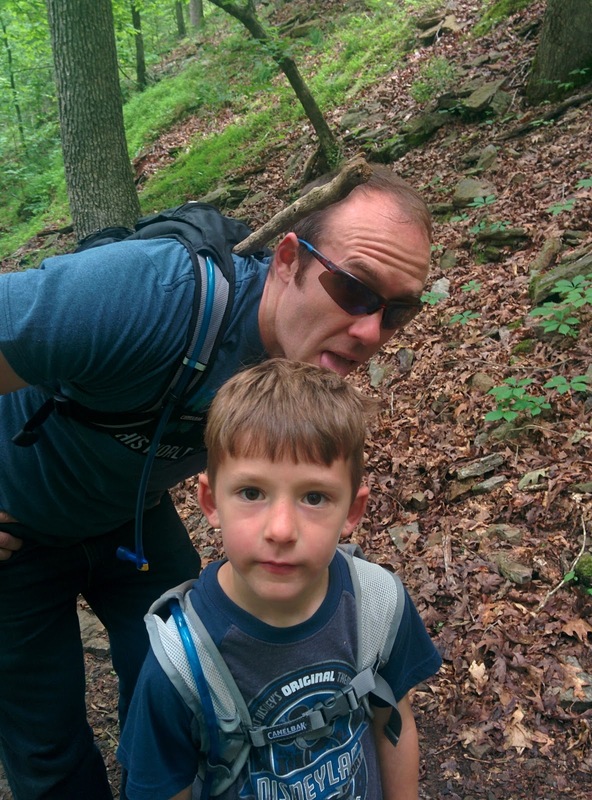 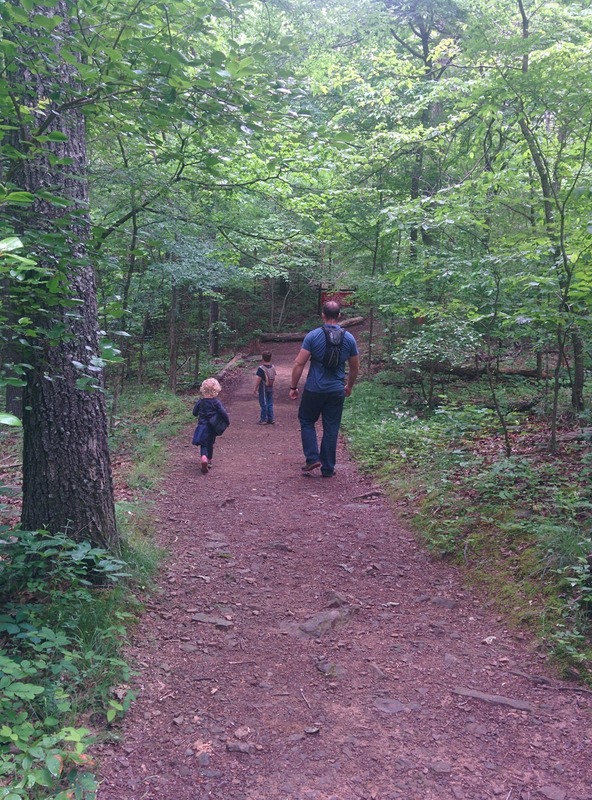 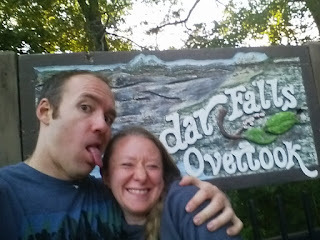 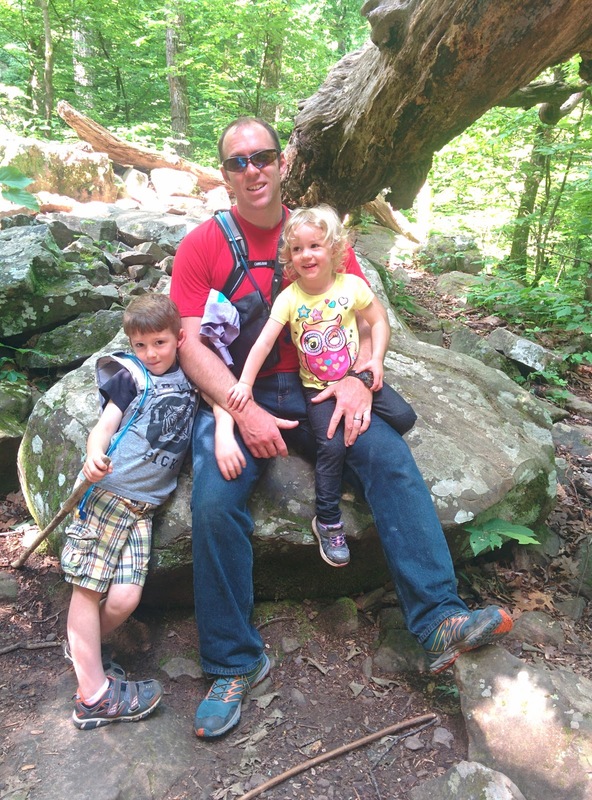 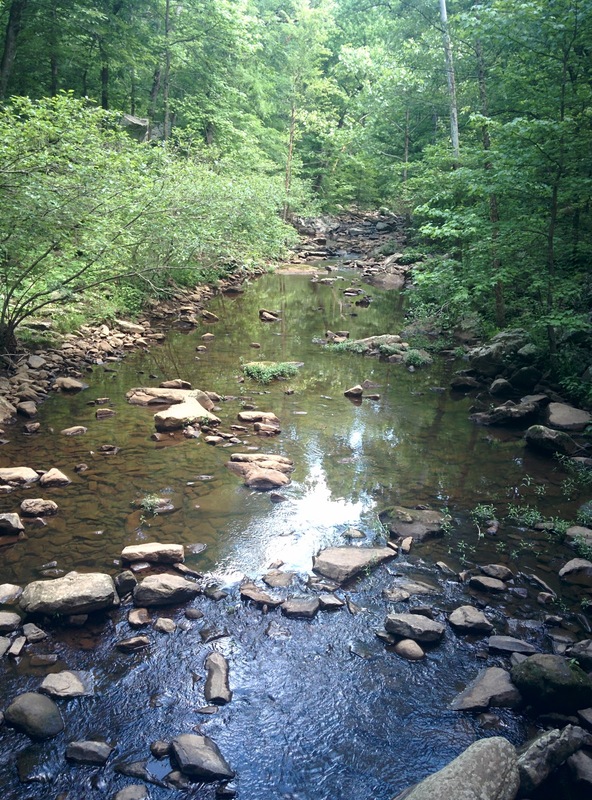 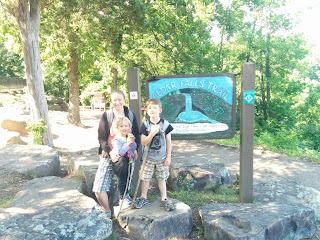 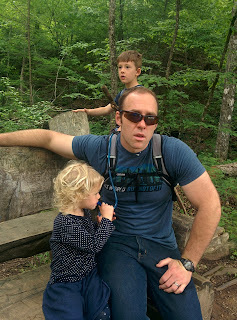 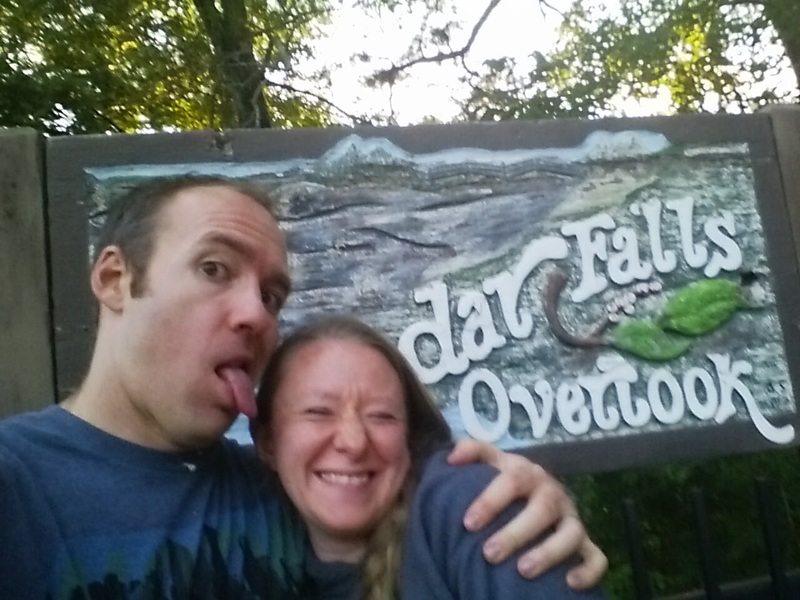 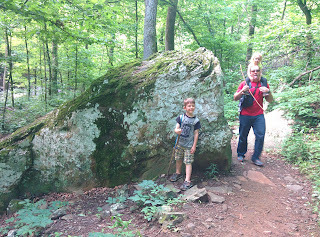 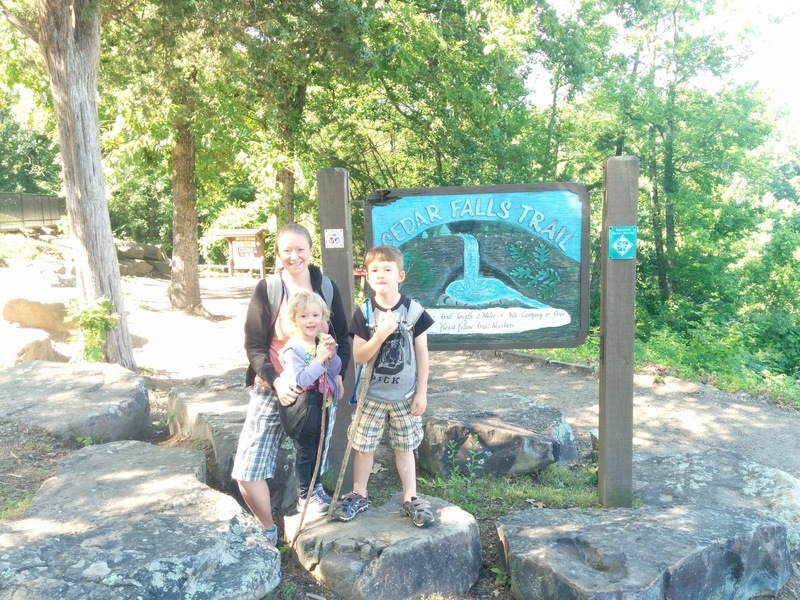 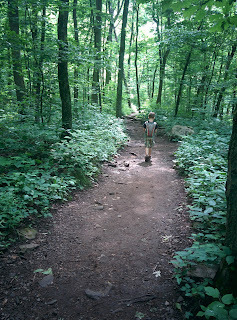 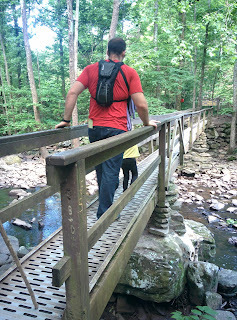 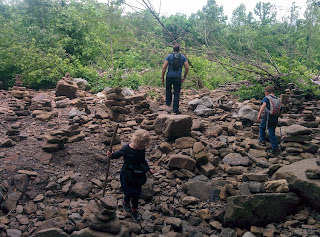 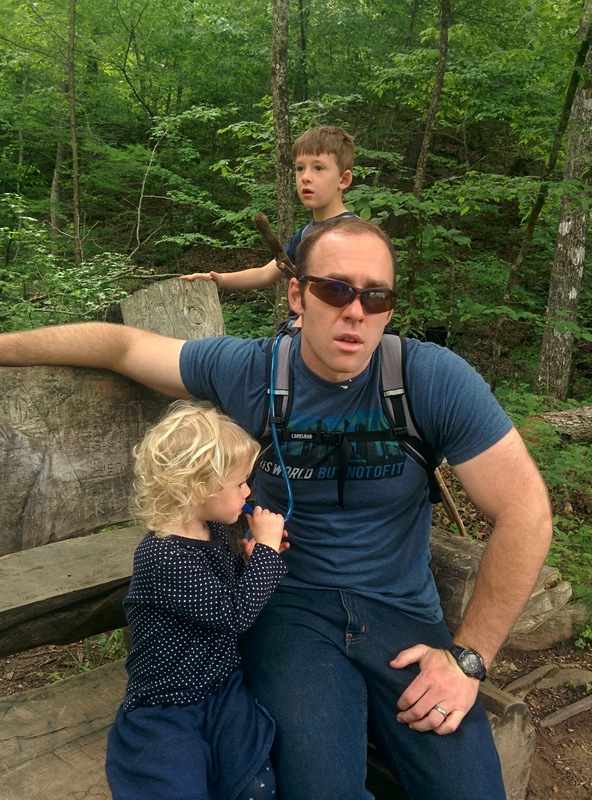 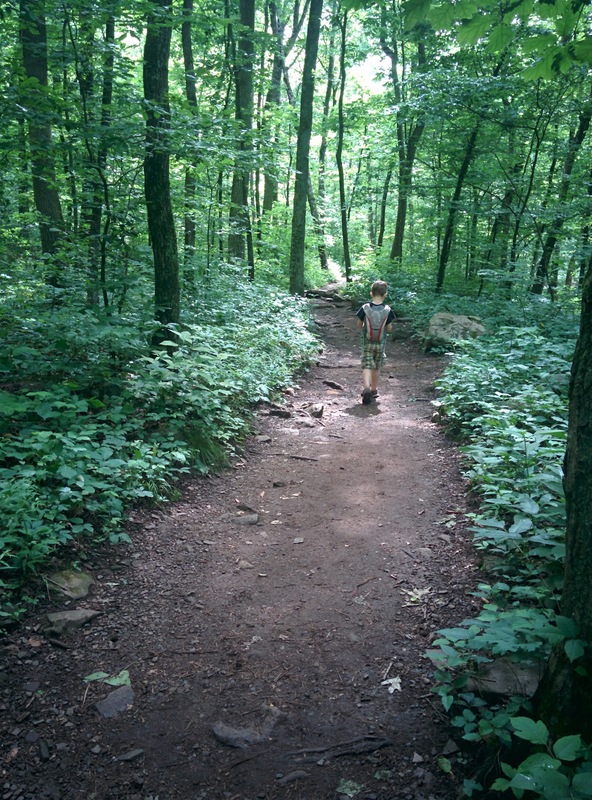 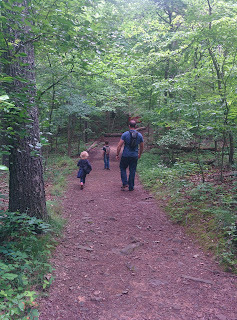 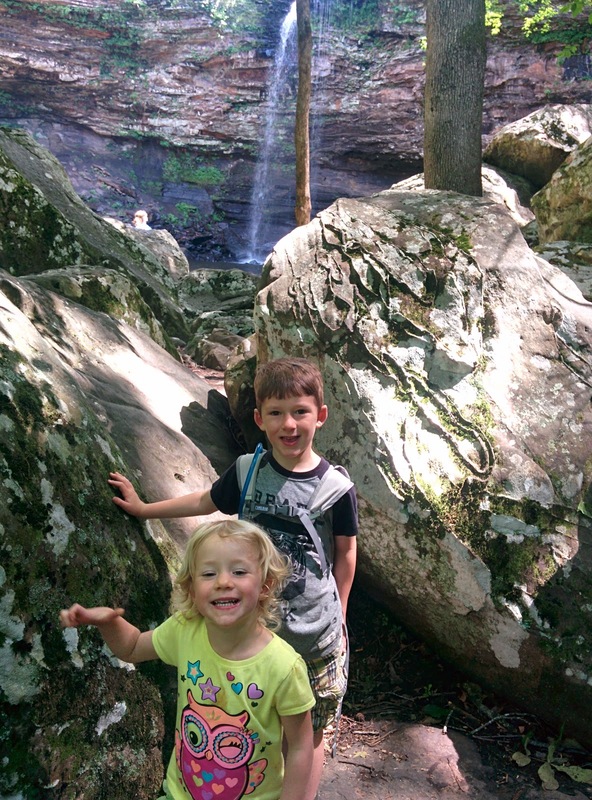 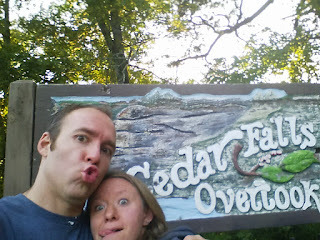 On Friday morning, we hiked the Devil's Den Trail and racked up some steps for sure! 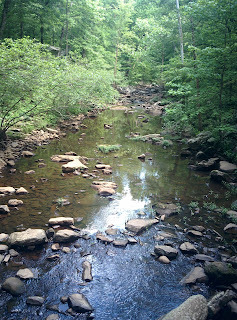 It was cool and beautiful - perfect day for a hike. 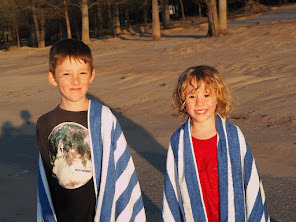 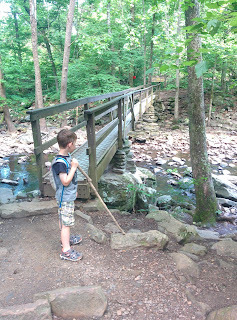 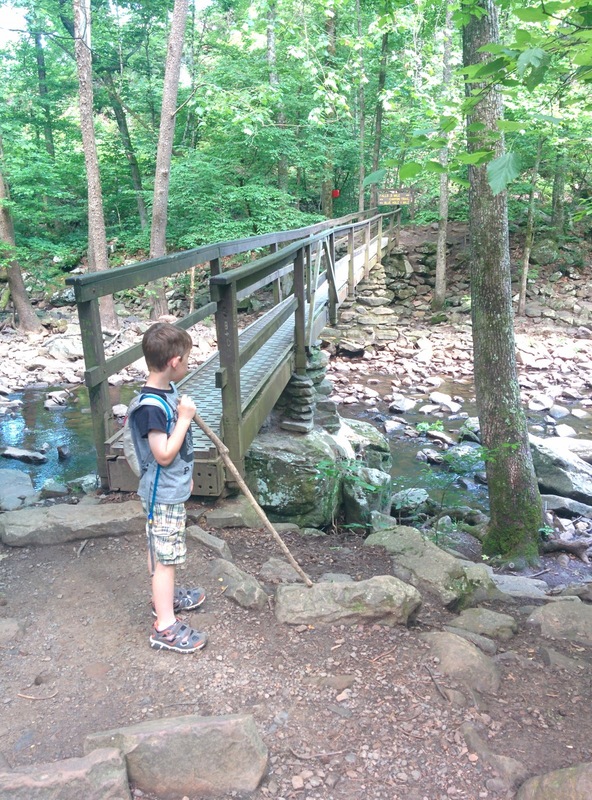 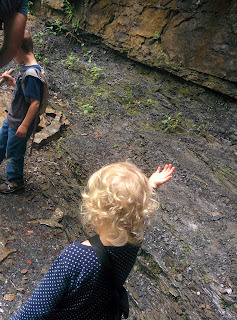 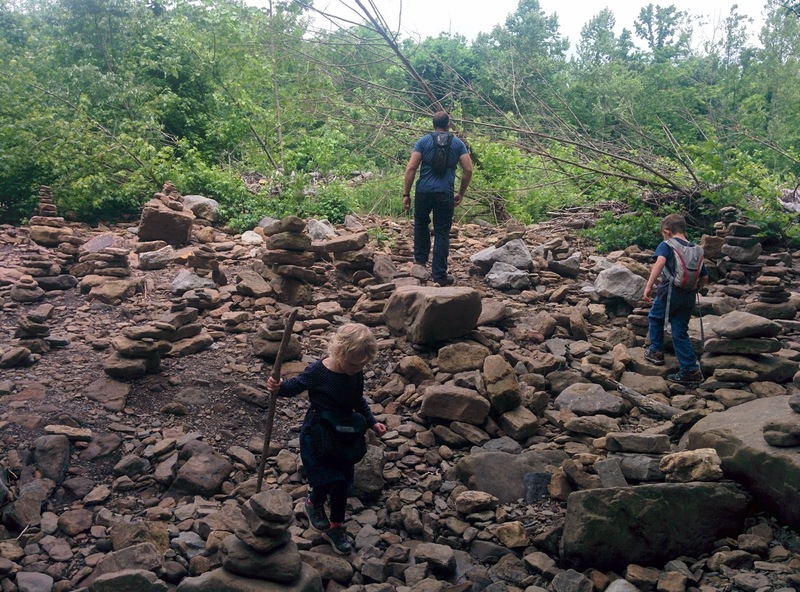 By the end, both of the kids had acquired walking sticks and felt to be quite the hiking experts. 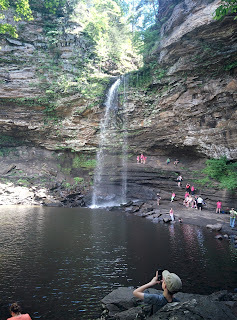 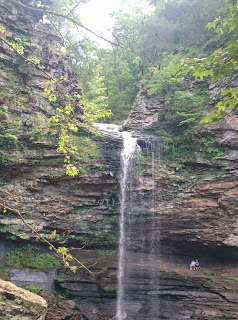 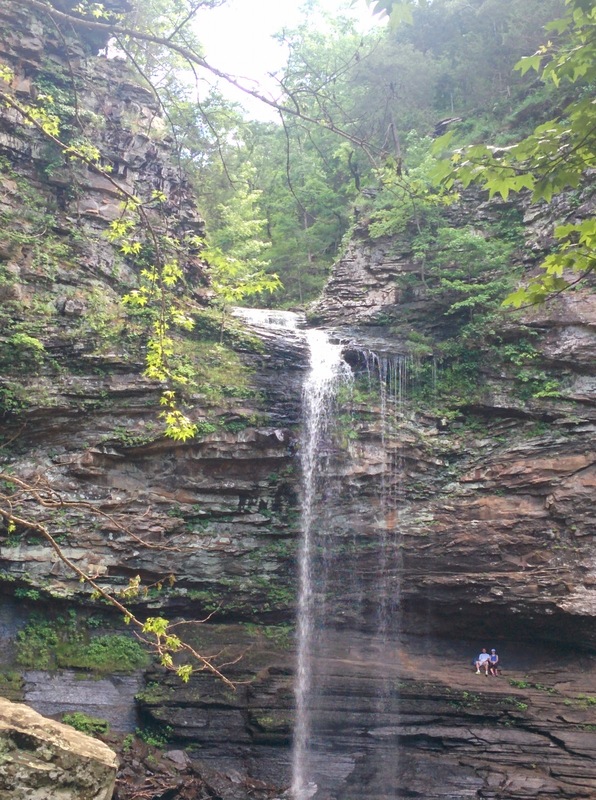 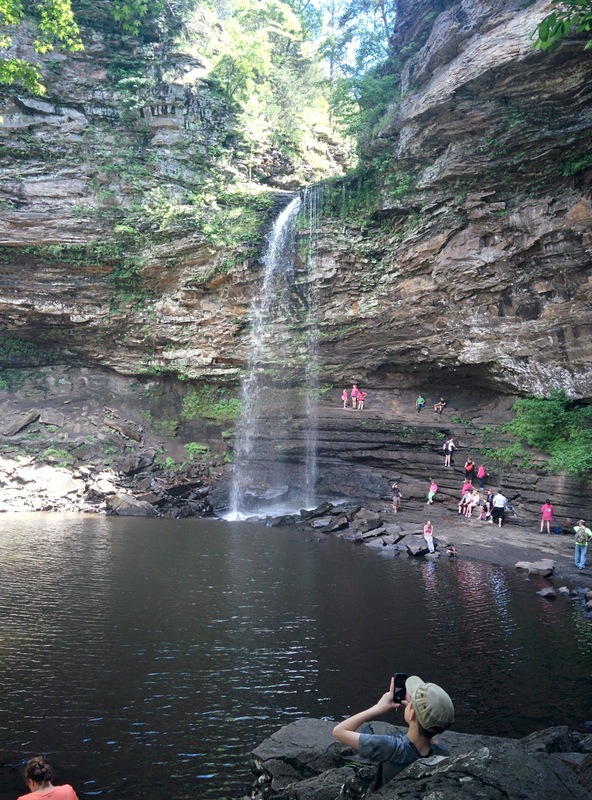 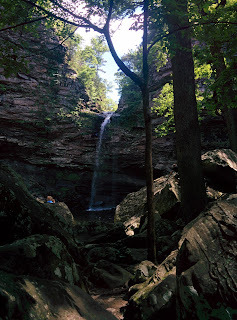 From there we drove over to Petit Jean State Park where we stayed at their lodge for the night. 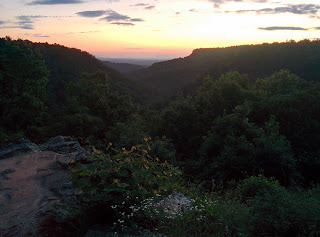 The view out the back of the lodge was gorgeous (as you can see in the first picture below). 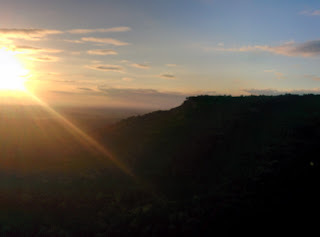 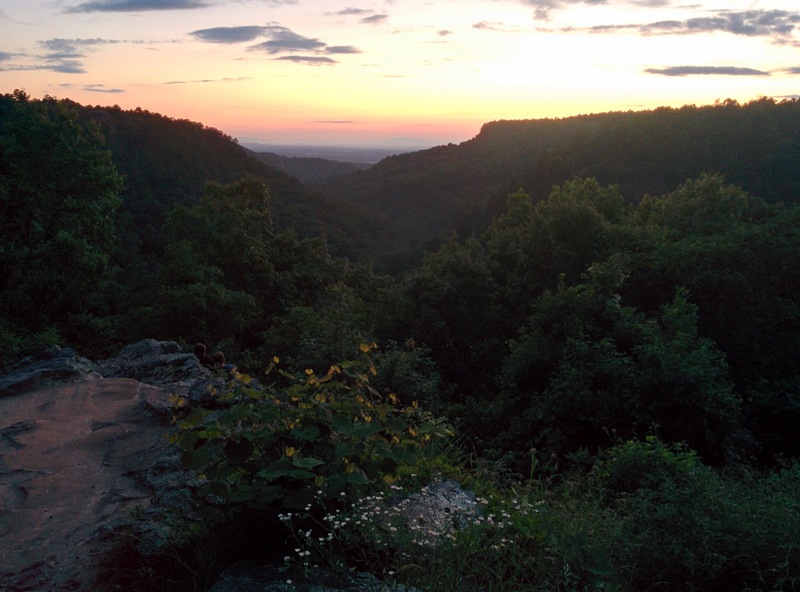 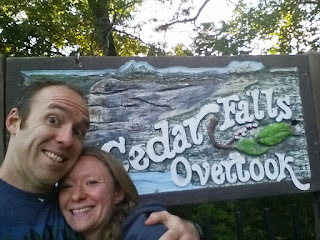 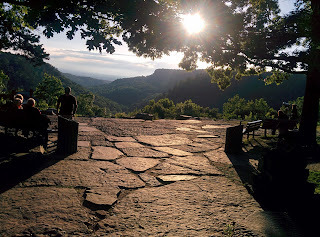 We ate at the lodge's restaurant, which was good and had a fabulous view too, and then stopped by Cedar Falls Overlook before we headed to watch the sunset and visit with a park ranger. 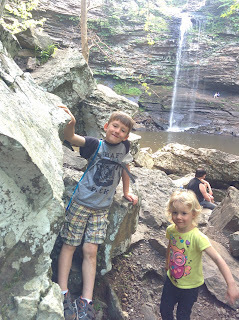 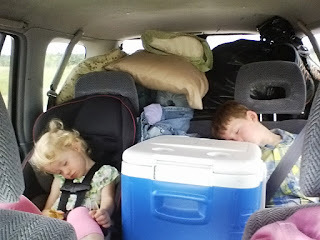 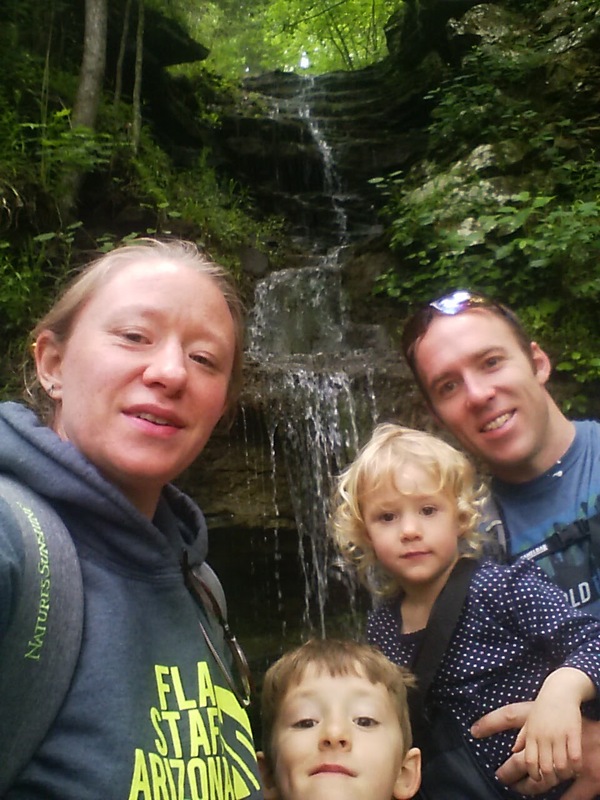 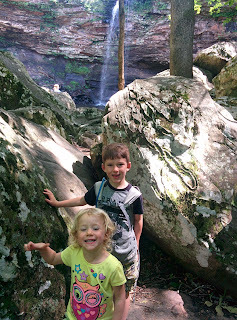 Saturday morning we packed up and hiked the Cedar Falls Trail, which turned out to be more challenging for the kids than we expected, but they did awesome! And the views were worth it. 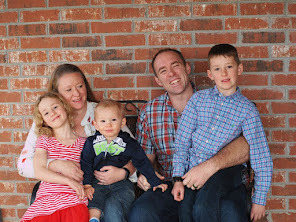 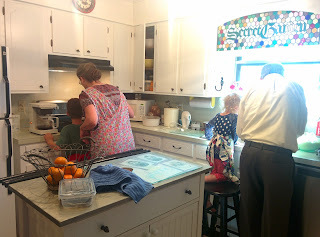 Saturday afternoon we headed over to some old friends house where they blessed us so much by our visit. 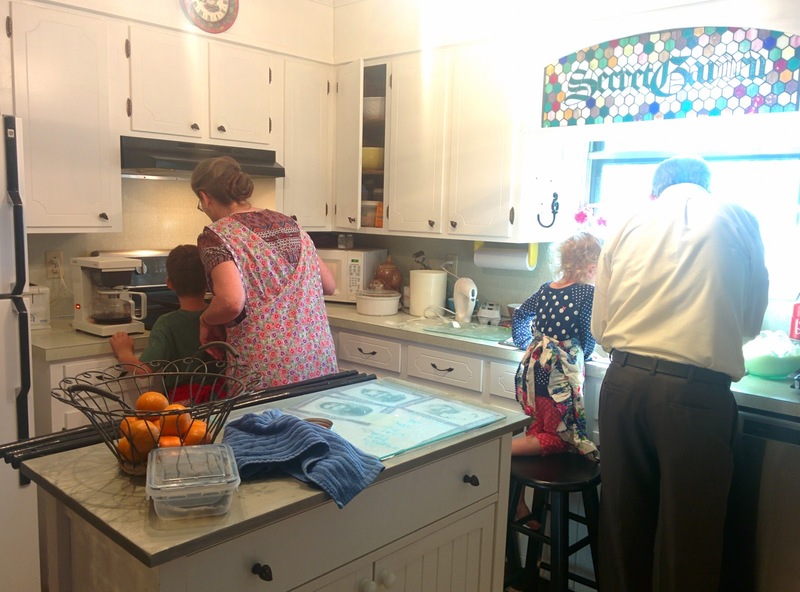 Sunday morning the kids helped with breakfast before we joined them for worship in Little Rock.